North Shore Oahu Bike Path – Paradise Baby Co. I love Hawaii! 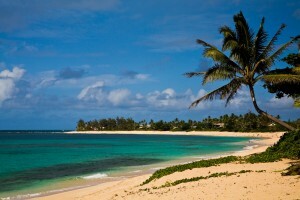 I also love helping families traveling to Oahu with kids. I started Paradise Baby Co Oahu’s leading baby equipment rental back in 2010 to help families traveling to Oahu with babies and young children. 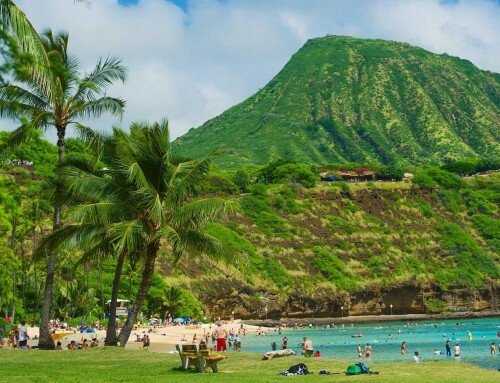 The same year we started offering North Shore bike rentals and Kailua bike rentals because I knew that families traveling with kids to Oahu would love exploring the coastline on the two best bike paths on Island. 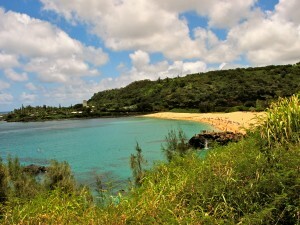 The North Shore bike path stretches about 4 miles from Sunset Beach to Waimea Bay. Along the way are lots of great places to stop and hidden paths to a number of less populated if not empty beaches. Here are a few of my favorite stops on the North Shore bike path. 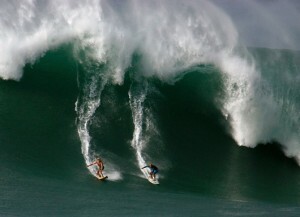 During the Winter months Waimea Bay is home to some of the worlds largest waves. Surfer tackle the challenge of riding these beasts in 50 plus surf a spectacle you will not want to miss. The summer on the other hand is idea for swimming and diving. The bike path ends just about 100 yards before the bay but you can walk your bike rental down and lock it up for the day. Having a bike is a huge bonus when you are visiting the bay because parking at the small public lot can be a nightmare! If you continue to the bridge at Waimea a great spot to check out is the Waimea Valley. This is a very scenic ride back into the lush valley. On Thursdays many locals ride there bikes to the farmers market to sit in the meow and enjoy delicious food and live music. Again, bike rental plus as parking is limited. 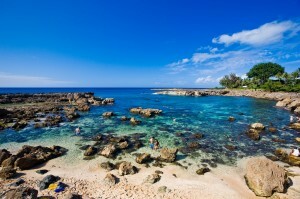 Summer time at Sharks cove is all about snorkeling. The cove offers something for everyone in the family. Small-protected tide pools are perfect for parents to take babies for a dip. Toddlers and young kids can explore the sea creatures that call the tide pools home. For older kids and adults the cove is home to an impressive variety of sea life. You can see everything from rare tropical fish, coral, eels, urchins and even Hawaiian green sea turtles. There are showers and bathrooms available and across the street the Pupukea Grill which offers tasty food from their truck. It is the locals favorite! Not much happening here in the summer months but when Winter rolls around so does one of the greatest show on earth. The Banzai Pipeline is a dangerous and shallow reef surf break that forms out hallow thick waves from large deep ocean swells. Surfers from around the world flock to the North Shore every Winter hoping to get a chance at catching one of these astounding waves. If you are like 99.9% of the worlds population and would never even dream of riding one of these monster rest assured just sitting on the beach watching is sure to get your heart pounding. Bring a camera this stop is a photographers dream. 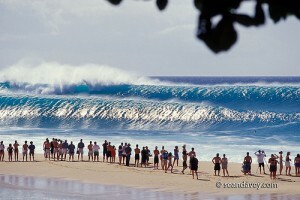 Sean Davey is one of the North Shore most famous photographers check out this image he captured at The Banzai! Like the other surf breaks and beaches along the North Shore winter surf is stunning to watch at Sunset Beach. Summer is calm and gentle for swimming, snorkeling and relaxing on the white sandy beach. You can watch the sunset into the ocean year round from this location, something that the other beaches on island do not offer year round hence its name Sunset Beach! There are not a lot of places to eat in Sunset Beach but Teds Bakery offers enough yummy food to make every member of your family happy. 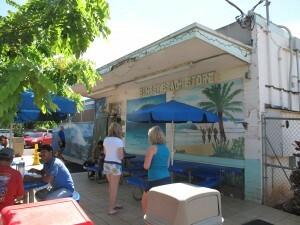 Teds Bakery is famous for their Chocolate Haupia (coconut) Pie. They also offer a variety of local favorite plate lunches including Chicken katsu, kalbi ribs, Mahi Mahi fish sandwiches and lots more. Located a short 5 minute bike ride North of Sunset Beach on the bike path Teds is a great place to fill your belly. Bottom line having a bike on the North Shore is a great way to visit the coastline. With approximately 10 other public right of ways nestled along the bike path you are sure to discover your own piece of heaven along the way. 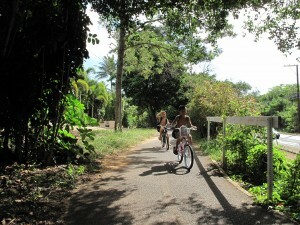 Paradise Baby Co offers North Shore Bike rentals for $15 a day and $75 a week additional week at $30. Includes FREE delivery and pick up to you at your vacation rental or condo. Kids bike rentals, adult bike rentals, pull cart bike rentals and baby seat bike rentals available. Enjoy your trip!